How much do we work for a gallon of gasoline? This map is provided courtesy of howmuch.net, a cost information website. Click on the map to go to the full article, with a description of what the numbers mean. How did Clinton’s performance compare with Barksdale’s in Cobb County? 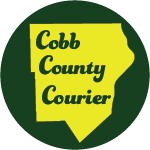 As many of you know, Hillary Clinton won the vote in Cobb County by a 2.1% margin. This surprised many people, since Cobb has been solidly GOP red for decades….